Google offer their own form solution that allows you to build up, embed and collect information from your visitors using Google Forms. This is especially handy as you can create an unlimited amount of free forms through Google Forms and the results can go directly into a sharable spreadsheet for multiple people to view the results. 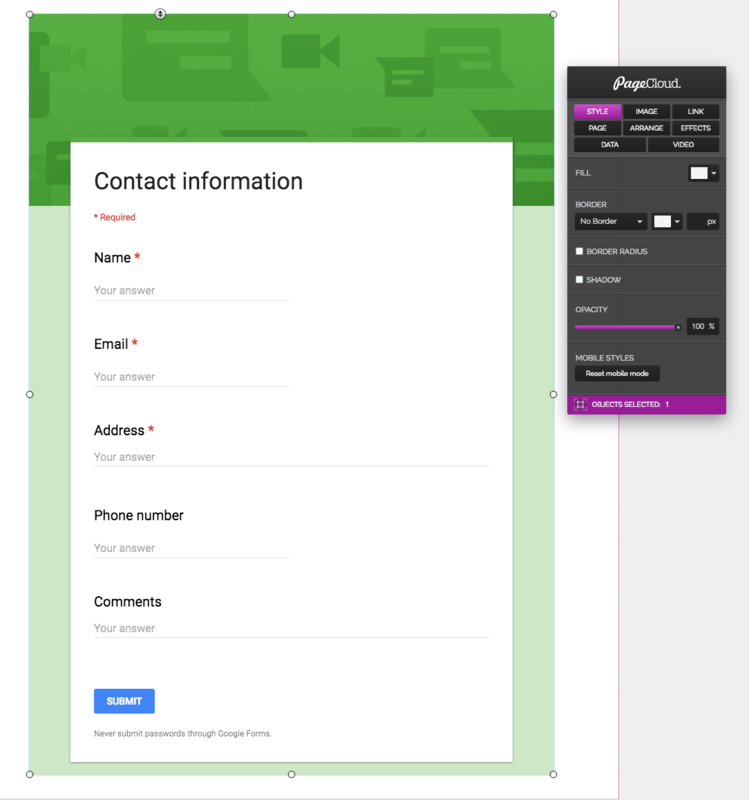 You can easily embed your Google form directly onto PageCloud. To start, head to Google Forms and copy the embed code they provide. Next, paste the embed code directly onto your PageCloud page using the CMD+V (on Mac) or CTRL+V (on Windows) shortcut key. Click "Save" then click "View Live" to see your Google Form in action.